Do you dream of hitting the open road and writing about your adventures? 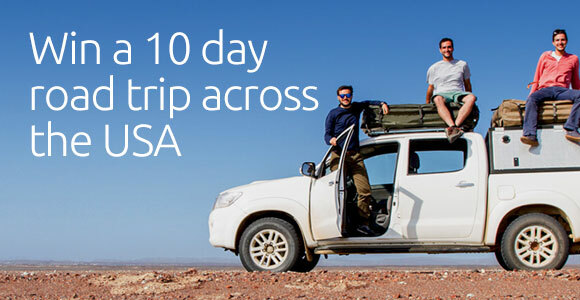 We have teamed up with Lonely Planet to bring you our 2015 Travel Writing Scholarship – and this year, we want to send you to the U.S. on your ultimate American summer road trip! Yes, we said road trip – again! We are looking for three talented aspiring travel writers to write their way across the U.S., Whether you want to explore the Pacific Coast, the deep south, Route 66, the Rocky Mountains, or New England this is your chance to discover the places and personalities that make America the confounding and captivating melting pot that it is. So, it’s time to stop dreaming, and get writing, because we want to send not one, but three budding travel writers to be mentored by a veteran Lonely Planet author and explore the U.S. on their own terms.